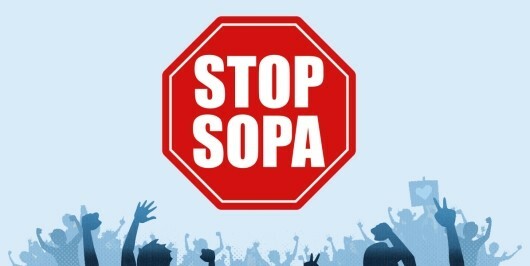 It’s no surprise that the huge anti-SOPA/PIPA Internet protest on Wednesday caught a lot of people under the chin. This included several American lawmakers who weren’t aware that the Internet is more than a bunch of geeky guys (the kind they pushed around in high school) playing video games in their parents’ basements. These senators and congressmen (persons of congressness?) woke up Wednesday morning to discover there is a power in this world that they can only fantasize about. They also discovered that Washington, DC is actually connected to the rest of the country. Most of them probably had to sit down for a minute to take it all in. Regardless, chances are good SOPA and PIPA are dead, and the only side effect is the American government may shut down for a while as frightened lawmakers make themselves scarce in the face of an angry mob of lobbyists. Ah, democracy! Ya gotta love it! The thing that surprises me, however, is why people didn’t see this coming. The battle for information didn’t just start last Tuesday, nor, for that matter, is it over today. These are just the most recent shots fired in a war that’s been going on since our hairiest ancestors learned how to grunt. And, BTW, although cries of censorship look good on bumper stickers and make terrific sound bytes, make no mistake: this current battle has nothing to do with banning content. It’s all about who gets to use the content available, and how. This is a battle between old media and new media, just like it was seven centuries ago when minstrels found out Gutenberg was printing more than just Bibles. They didn’t like it because they were about to be put out of business. Fast forward to 2012 and it’s Hollywood vs Silicon Valley. Plus ca change! If you’re still confused, let me break it down for you. 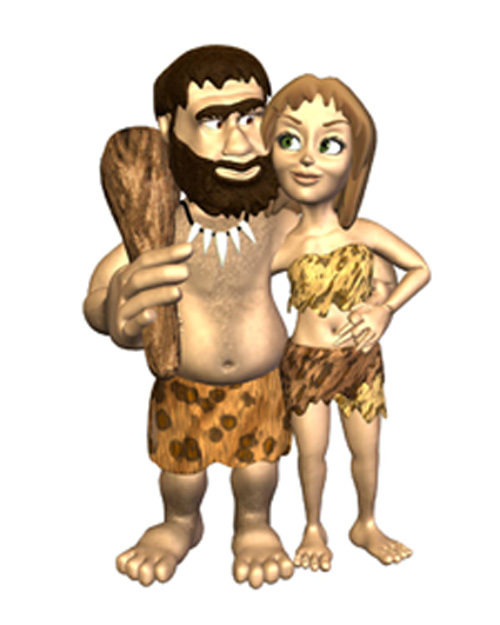 We need to go way back to caveman days, when life, although very similar to ours, was a whole lot simpler. This is how the media worked back then and it’s how it still works today. It all started one night when Grog, the Caveman, was lying around the fire, burping up mastodon and wondering what to do with his spare time. Mrs. Grog probably said something innocuous like, “How was your day, dear?” and Grog proceeded to tell her. Bada-bing, bada-boom, the world changed. It was the original “Shooting a Mastodon” story, and although Grog was no George Orwell, the family was enchanted. Pretty soon, Grog was doing story night twice a week. Word got around. After all, Cro-Magnons didn`t have all that much to do after dark. 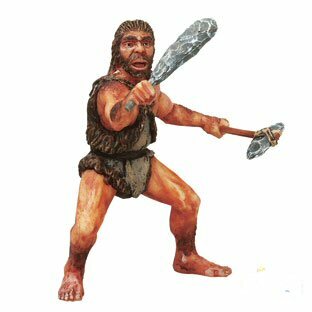 So, instead of just sitting there, watching the in-laws pick fleas off each other, the neighbours would pack up the kids, grab the Cro-Magnon equivalent of popcorn and head on over to Grog’s cave for some entertainment. In essence, Grog controlled the media; they were his stories and he told them well. As I’ve said, despite what anthropologists will tell you, Cro-Magnons were not that much different from us. They liked a good story; therefore, Grog became something of a celebrity. The locals started treating him differently – first bite off the bone, closest seat at the fire, that sort of thing. Grog had a good gig going on. Enter Cro-Magnon #2 (we’ll call him Eddie for clarity; that’s not his real name.) 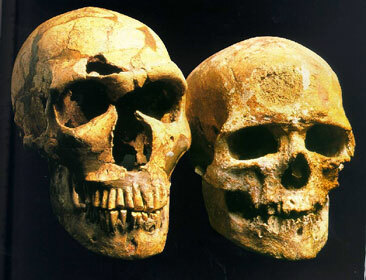 Eddie was pretty smart for a Cro-Magnon, given the limitations of his receding forehead. Eddie saw Grog acting like the world’s first Rock Star and he wanted a piece of that. He decided that he could tell stories, too. However, the Cro-Magnon world was limited, there really weren’t that many stories yet, and Grog was already telling them all. Eddie needed a hook; a reason for people to abandon Grog and come and hear Eddie’s stories (even though they’re basically the same.) Fortunately, Eddie was kind of a caveman Stephen Jobs, and he figured out that, if he added pictures to the stories even the hillbilly Neanderthals down the road would be snarling around, trying to get in. So Eddie drew a bunch of pictures on the walls of his cave to illustrate the stories he was telling: the first multimedia presentation. 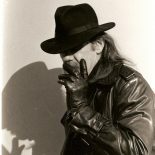 Suddenly, Eddie was the guy you wanted to see in Cro-Magnon town when the sun went down. Grog, on the other hand, had three options; go back to being a nobody mastodon hunter, go over and kick the snot out of Eddie or draw his own pictures and get better stories. Luckily, he chose door number three because, if he hadn’t, we’d all be watching Mastadon Hunt MMMXCVI, in 3D. It’s way more complicated these days, but the same rules apply. When things change, the media has to change to accommodate them. Those who do, survive; those who don’t, go under. Running crybaby to the government is only delaying the inevitable. If the large media corporations think that’s a reasonable solution, they’re all going to end up like Eastman Kodak, hunting around like a bunch of cavemen, looking for bankruptcy protection. This entry was posted on January 20, 2012 by wdfyfe in Uncategorized and tagged Censorship, Internet, mass media, media, PIPA, SOPA.